I hope you are all ready for our June 1st meeting at the usual spot- Milhopper Library at 7:00pm. It’s my 28th birthday….and I’ll be there so I hope you will too! Make sure you remember to bring your mini quilt from April to this meeting to swap with your partner. I will also be giving away one of my Lock Up quilt patterns and an issue of Quiltmaker’s 100 blocks magazine to a two lucky members! 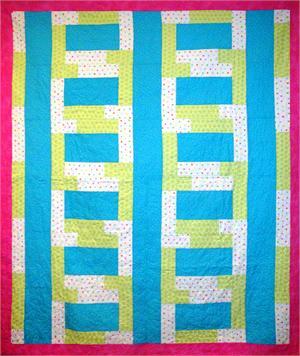 And…..I’ll share some news on our next sponsored quilt challenge! 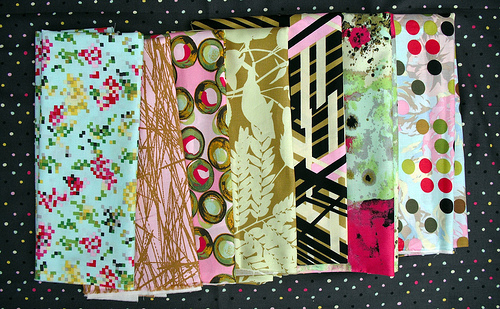 Here’s a hint: Each participant (up to 20) will get to work with Jay McCarroll’s (for FreeSpirit) Habitat fabric line in this colorway…. Aren’t they gorgeous!??! I absolutely love this fabric. p.s.- If you are looking for some quilty inspiration take a look at an eBook Quilter’s Home released called A Modern Quilting Primer that features 3 great modern quilts.